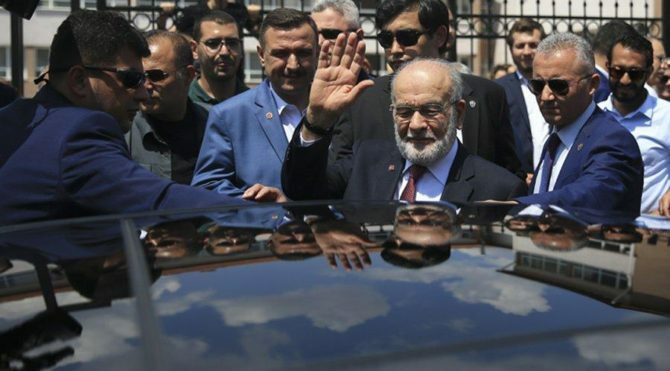 Turkish interior minister Süleyman Soylu has withdrawn the two police officers assigned to guard Temel Karamollaoğlu, the leader of the opposition Islamist Felicity Party, Turkish secularist newspaper Sözcü reported on Thursday. Leaders of political parties in Turkey are often assigned police protection, and when Karamollaoğlu registered his candidacy in the Jun. 24 presidential election, he was assigned two extra officers in addition to the two already guarding him. The interior ministry has withdrawn all four since the election, Sözcü journalist Veli Toprak reported. “I was a little surprised, it seemed odd to me. I suppose they took such a step because Turkey has now become a secure country in the full sense of the word,” Karamollaoğlu was quoted as saying. Soylu has already made a point of targeting the opposition since the election, reportedly telling the co-chair of the pro-Kurdish Peoples’ Democratic Party (HDP) she “no longer has the right to live (in Turkey),” and barring provincial heads of the main opposition Republican People’s Party (CHP) from the front row at funeral ceremonies of fallen soldiers. Karamollaoğlu’na koruma şoku Saadet Partisi Genel Başkanı ve Cumhurbaşkanı adayı Temel Karamollaoğlu’nu korumakla görevli 4 polis birden İçişleri Bakanlığınca geri çekildi. SP lideri korumasız kaldı.